Speeding in POV--Awareness and steps to action. 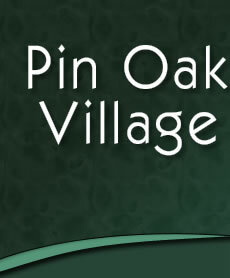 Speeding has become a safety issue in Pin Oak Village. With the summer months approaching POV is launching a speeding awareness campaign that will focus on educating drivers regarding the risks and dangers involved with this issue. The goal is to ensure that drivers adhere to the posted 25 mph speed limit throughout the neighborhood in efforts to help keep our residents safe as they enjoy our amenities.The POV community enjoys active lifestyles with a steady flow of pedestrian traffic, including children walking to and from the pool and park areas. Cautious driving and environmental awareness are essential in keeping our families safe; it’s our responsibility as a community and as drivers.Throughout the upcoming months the Fort Bend Co. police department will be stepping up enforcement. Violators will be ticketed, concerned residents will be recording and reporting violators and signs will be posted. Maintain a 25 MPH speed or less in our neighborhood and STOP at stop signs. Report motorists driving at unsafe speeds - Citizens can report unsafe drivingby calling 911 in the event of a serious, in-progress event or the non-emergency number (281-341-4704) if it is a minor violation; you can also submit a traffic complaint online at: http://tinyurl.com/ktos52m. Make sure to note the license plate information and vehicle description. Slow down when approaching walkers, joggers, cyclists, etc. Allow a safe distance while pedestrians, especially children, are attempting tocross a roadway. Please drive carefully and cautiously while navigating around parked vehicleson the side of the road. Place a SIGN OF LIFE in your front yard. Put it in your yard each morning and bring it in each night.